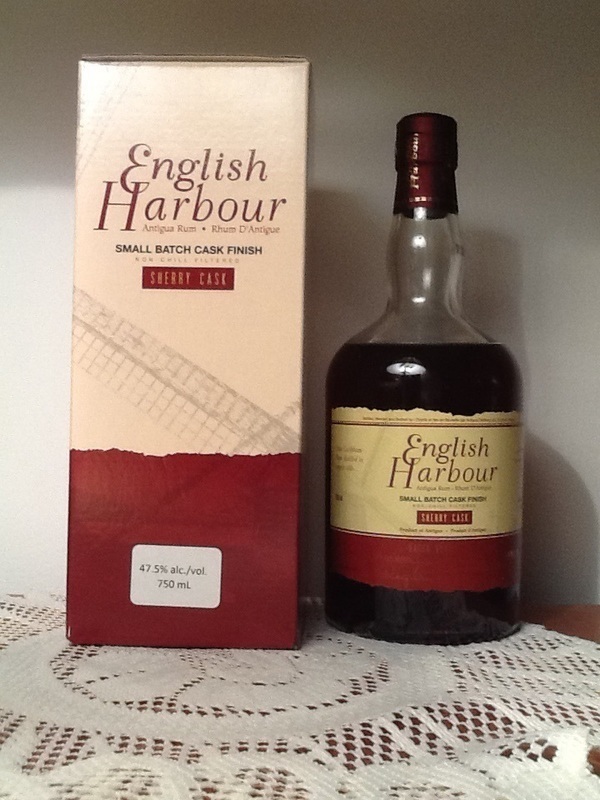 Have you found an online vendor selling English Harbour Small Batch Sherry Cask Finish? 46% ABV. Aging: 5 years ex-bourbon followed by 6 months ex-sherry; I think the rep said 18% of it is actually the 10-year-old. The flavor is full, robust, and full of sherry sweetness. It's the sweetest (and richest) of the 3 cask-finish offerings from EH, especially on the nose. Unfortunately, I'm not a big sherry guy, and I prefer a somewhat dryer style. These finishes are interesting, but rather overpriced IMO. Sugar 4-5 GPL. This rum has a sherry look and taste to it, but it's really strong on the alcohol taste. For me the high alcohol content dominates the taste profile. I think if this was blended down to the 40% ABV range it would be a better tasting rum. Raisins, Sherry, and oak mixed with alcohol is how I see this one. Worth trying at $40 Canadian. You need ice for this one if you are drinking it straight. I think it would be a great rum in drinks calling for overproof rums. Yes, that's the ticket. English Harbour have never disappointed me. Bought me this during a vacation in Antigua, have one from batch 001 since before without have tasting it. I also got the opportunity to get a guided tour at the distillery (ADL) and the “ageing house”, which was great. Tested it the first time during my vacation at a local restaurant down in Falmouth Harbour, and thought is was great. Then I thought that the nose was great, but now when tested all three I’ve changed it to medium, cause the nose of the Port is fantastic. But nevertheless this is a great rum that’s very complex and has a great afterburn. Bouche : goût typique de rhum english Harbour 5 ans avec un goût de sherry sur les fruits cuits et fruits sec avec des tannins vers la fin de la gorgé.